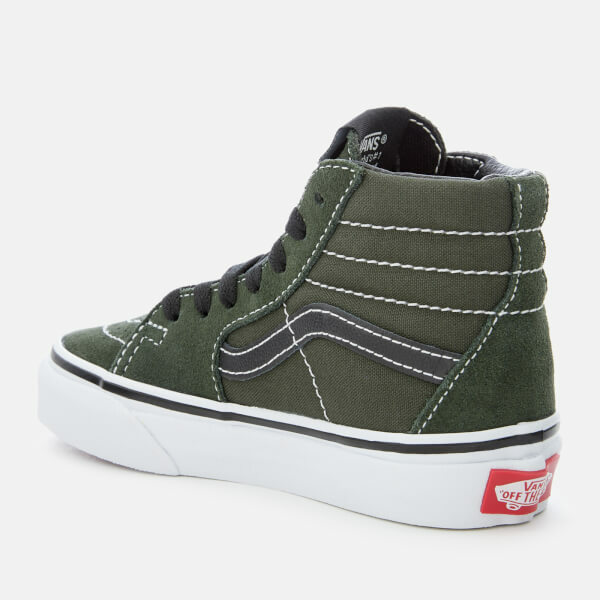 Toddlers’ ‘Sk8-Hi’ trainers from Vans. 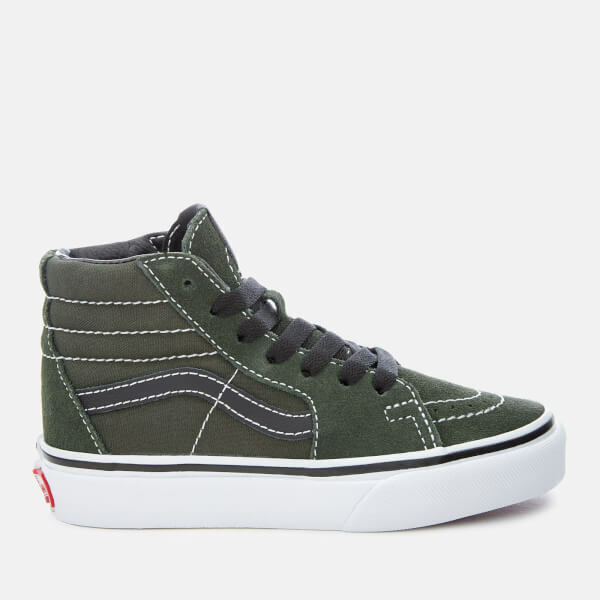 Crafted from a mix of smooth suede and lightweight canvas, the khaki green high tops feature a lace-up fastening, contrast white topstitching and Vans' iconic side stripe in black. 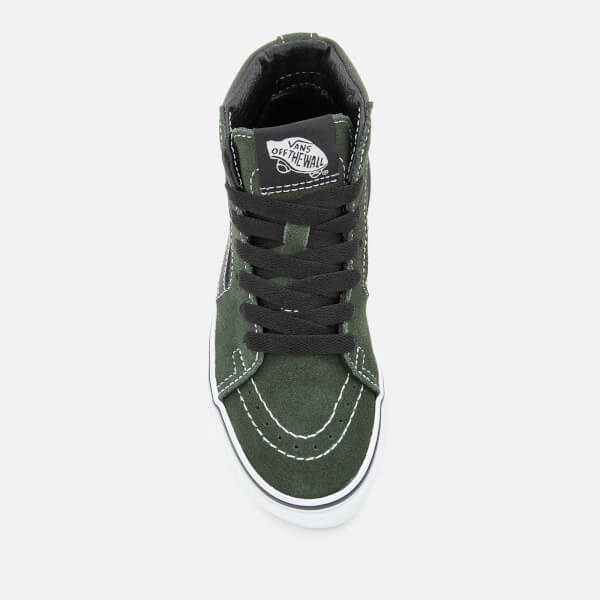 A padded ankle collar and the brand’s signature durable waffle sole ensure comfort with every step. 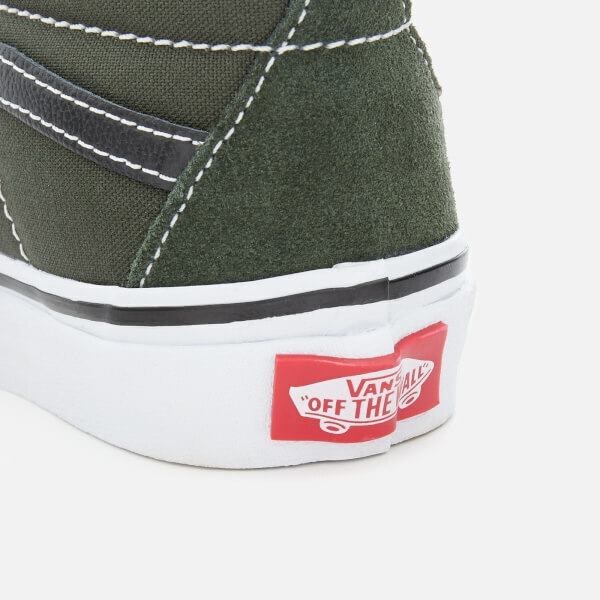 A branded tongue tab and license plate detail provide the finishing touches.